The Special Education PM Classroom provides opportunities for students with special needs to grow in their skills, with an equal number of typical peer models in a preschool setting. 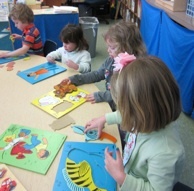 Children are exposed to a variety of planned activities guided by the teacher and paraprofessionals. 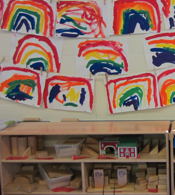 The program follows a predictable daily schedule including: table activities, circle time, literacy, play choices, snack, math, songs and outside play. Weekly specials such as music and physical education are also included in this program. Classes are geared for students who need support with cognitive development, speech and language development, social skills, as well as fine and gross motor needs. 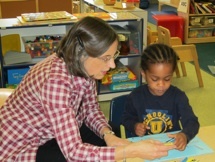 Students may also receive speech, occupational or physical therapies, if recommended by their IEPs. Language groups are offered weekly by the speech/language pathologist and a school psychologist is available for social skill and behavioral/emotional support.